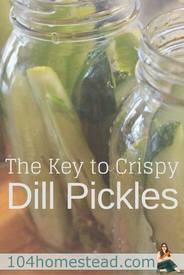 There are a lot of dill pickle recipe ideas online, but there is something they all lack. The secret to crispy pickles is a single surprise ingredient! Do you know what it is?